Toto Wolff has labelled Ferrari a “formidable competitor” and he is relishing another heated battle between the legendary Italian marque and his Mercedes team in 2019. Formula One has been crying out for a genuine title battle for a number of seasons and it looked like motor racing fans might genuinely get one this season when the Prancing Horse came flying out of the gate. Sebastian Vettel won the opening two races in Australia and Bahrain with Lewis Hamilton not tasting success until round four in Azerbaijan. Vettel won again in Canada and at Silverstone and led the drivers’ championship by eight points from his fierce rival after snatching victory at Hamilton’s home race with the season at the halfway point in July. But after the mid-season break, Vettel imploded with uncharacteristic and catastrophic errors committed, while Hamilton sparkled. Ferrari were much improved in 2018, but Sebastian Vettel ultimately came up short against Lewis Hamilton. Vettel has won just one of the last 10 races leading up to the Abu Dhabi finale as the four-time champion was forced to watch Hamilton go above him and join Juan Manuel Fangio on five titles. Hamilton lifted his fourth trophy in five seasons in Mexico at the end of October and currently holds a 81-point lead over Vettel. Mercedes boss Wolff was sat next to Ferrari counterpart Maurizio Arrivabene in Friday’s team principal press conference, and lavished praise on Ferrari for upping their game in 2018 – even if it ultimately proved fruitless. “Ferrari has ramped up their game over the last year tremendously,” said the 46-year-old Austrian. Not only have Ferrari come on impressively, but the Red Bulls of Max Verstappen and Daniel Ricciardo have also been mightily competitive too. Australian Ricciardo won in China and Monaco while Dutch sensation Verstappen, 21, leads a new wave of exciting young talent and won in Austria and Mexico. 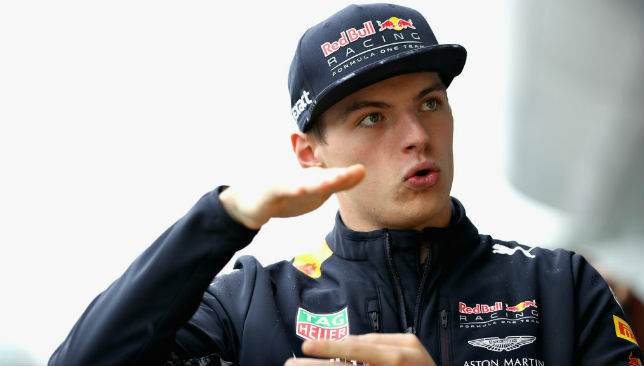 Closing the gap: Max Verstappen. Ricciardo announced earlier in the season he will join Renault next year, with the French team improving to fourth behind the big three of Mercedes, Ferrari and Red Bull in the constructors’ championship this year, having claimed ninth and sixth respectively since returning to the sport in 2016. 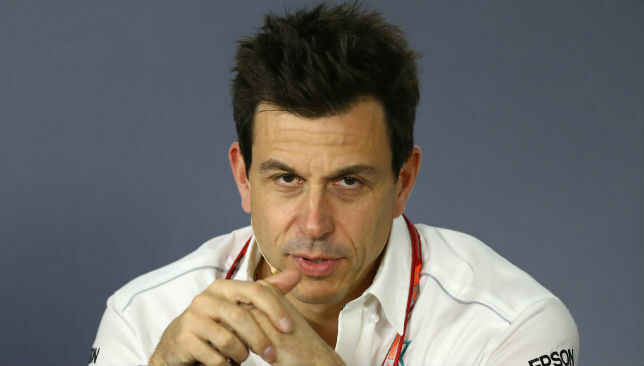 So, with 2019 promising to be just as competitive if not more so, is Wolff worried? “We very much welcome the challenge, we enjoy the fight, it’s why we are here,” he said. Robert Kubica takes part in free practice at Yas Marina Circuit on Friday. 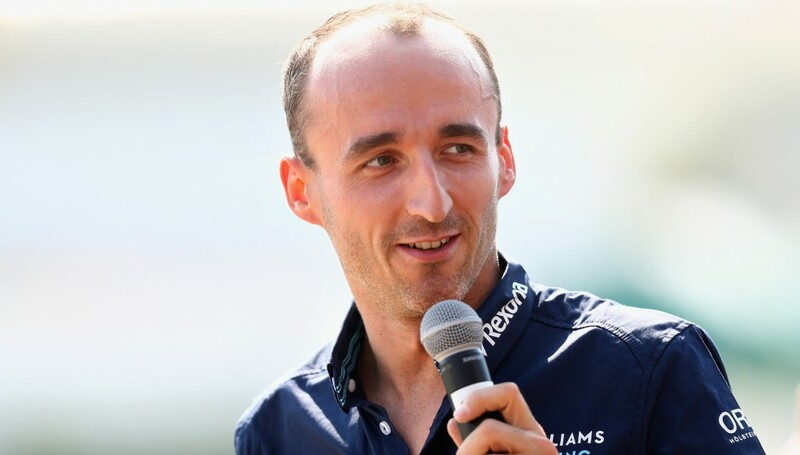 Robert Kubica admitted he received more messages of congratulations than he has contacts in his phone after his return to Formula One after an eight-year absence was confirmed on Thursday. In a poignant moment, the Pole’s return to the pinnacle of motor racing was announced by the team ahead of Sunday’s Etihad Airways Abu Dhabi Grand Prix. Yas Marina Circuit was the venue of Kubica’s last F1 race in November 2010, where he finished fifth behind winner Sebastian Vettel, Lewis Hamilton, Jenson Button and Nico Rosberg. In his debut season with Renault, the then 25-year-old Kubica would finish eighth behind champion Vettel, with big things predicted for the Pole’s future. Then came the crash while competing in a rally in northern Italy the following February that would see part of his right arm amputated and bring his F1 dreams to a grinding halt. It’s been a long and arduous road back for Kubica, now 33, but he will finally return to the F1 grid in 2019. Kubica announced his return to F1 in Abu Dhabi ahead of the Abu Dhabi Grand Prix at Yas Marina Circuit. There he will come into contact with the likes of reigning world champion Hamilton and four-time winner Vettel – but Kubica admitted surprise at the amount of people who contacted him to offer their congratulations on Thursday night. “I don’t know how many messages I had after yesterday (Thursday),” Kubica said with a grin when asked following the end of free practice one on Friday. Although he is “honoured” to be back at the elite level, however, Kubica quickly switched focus to next season and what is sure to be another long road ahead, fine-tuning and preparing for his comeback over the off-season and the opening race in Melbourne on March 17. “It was a big day yesterday but that was yesterday and we are here to work,” added the affable Krakow native. 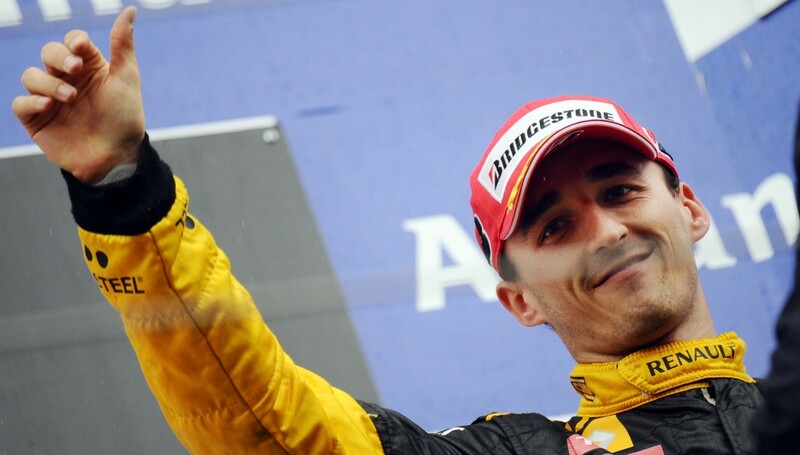 Two people who Kubica probably didn’t receive messages from are Hamilton and Fernando Alonso, as they are instead more likely to have congratulated him in person over the course of the weekend. Both men spoke glowingly about Kubica and his fairytale return to the sport in the driver’s press conference at Yas Marina on Thursday. "It is a big achievement. One of, I think, the biggest achievements of my life." Hamilton, a month younger than Kubica and who has already claimed his fifth championship and fourth in five years, said: “I raced him from karting so I’ve known him for long, long time and he was always one of most talented drivers I raced against. Kubica himself says he has tremendous respect for both drivers. “It’s nice to hear (what they said),” added the Pole. 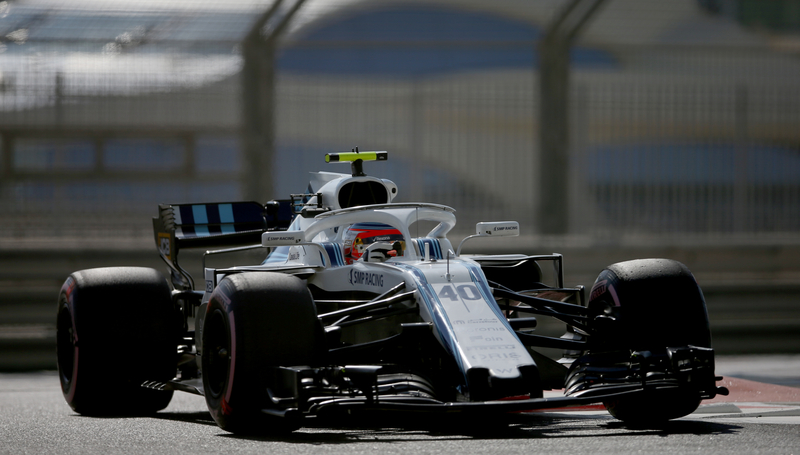 Kubica has been with Williams all year as a test driver and back-up to youngsters Lance Stroll and Sergey Sorotkin, who have endured hugely disappointing campaigns, scoring six and one point respectively. As such they will be replaced by Kubica and 20-year-old British phenom George Russell next season. Kubica starts preparations for his return on Tuesday and Wednesday in Abu Dhabi, where he and Russell will take part in testing. He was unwilling to talk too much about expectations for 2019 and is instead focusing on the task at hand. Kubica after finishing third at Spa in 2010. “It’s a long time (I’ve been away), but I was pretty busy in that time,” he said. “Unfortunately I was not racing a lot but I was still riding for three years. Finally I can say I will be back on an F1 grid which is a big challenge for sure. But that’s what I was working for and looking for. “Now it’s a matter of preparing as much as we can and as best as we can. Hopefully the new car will be better and I will start working with the team and George on Tuesday to collect valuable data. “It will be an honour for me to be back racing in F1 and I will try to do my best. 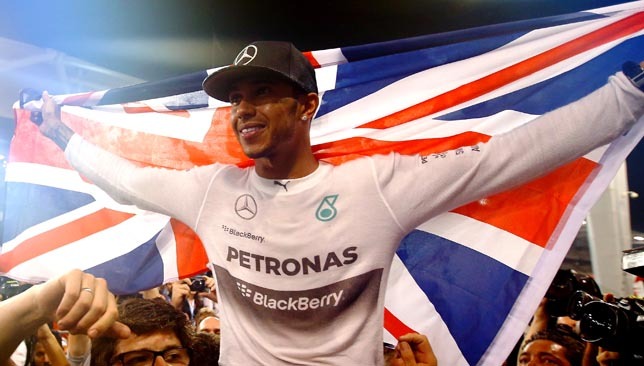 Lewis Hamilton won the the 2014 Abu Dhabi GP and with it the world title. Those words of wisdom came from Fernando Alonso, whose departure from Ferrari after a five-year stint in the scarlet cars was announced as Abu Dhabi settled into its sixth weekend as a Grand Prix venue. In a season book-ended by new beginnings and sometimes tragic endings, two initiatives stood out, one at its start, the other at its Yas Marina Circuit conclusion, each for very different reasons. Formula One itself had decided it was time to move away from 20th-century technology, and towards a seismic shift in the sport’s technical development. In 2014, Grand Prix cars stopped using ‘engines’ and switched to ‘power units’ whose complexity might have baffled the layman, but whose performance was staggering. Small, turbocharged hybrid units – just 1.6 litres in the engines at their heart – were the order of the day as the front-running teams sought to harness new technology and take F1 back to the future. Lewis Hamilton, with Toto Wolff, Felipe Massa (l) and Valtteri Bottas (r). Front-running teams? 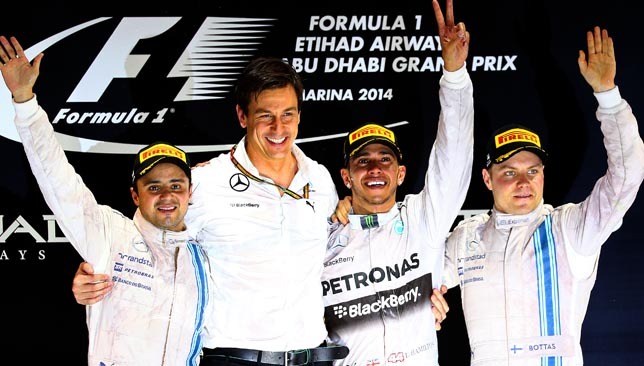 In truth there was only one: Abu Dhabi in 2014 saw the coronation of the first Mercedes-powered world champion since the peerless Juan Manuel Fangio in 1955, and the constructors’ title had been sewn up in Russia three races earlier. Happily, though, the Mercedes pairing of Lewis Hamilton and Nico Rosberg had their own private fight to finish in round 19, predictably labelled the ‘duel in the desert’ as they reached Abu Dhabi with just 17 points separating the Englishman and the German who had been his friend and rival since their karting days. That’s where the other radical initiative comes in. F1 had decided that the last race of the 2014 season should see double points awarded, an idea that threatened to artificially bias the end result of a year in which Hamilton had already won 10 times to Rosberg’s five. Just one other driver had stood on the top step of the podium. That was Red Bull’s new recruit Daniel Ricciardo, replacing Mark Webber and instantly getting the better of Sebastian Vettel in a way his Australian compatriot rarely did. Rosberg’s dismay was compounded when a failure in his energy recovery system – a crucial part of the new technology – meant he was literally powerless to prevent himself from sliding back to an eventual 14th place. 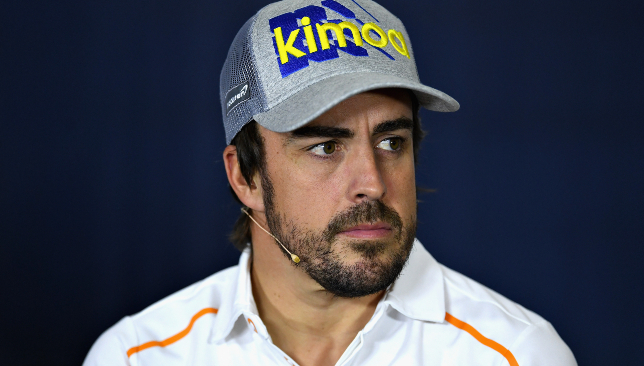 Fernando Alonso will race for the final time in Abu Dhabi this weekend. Double points, thankfully, had made no difference. 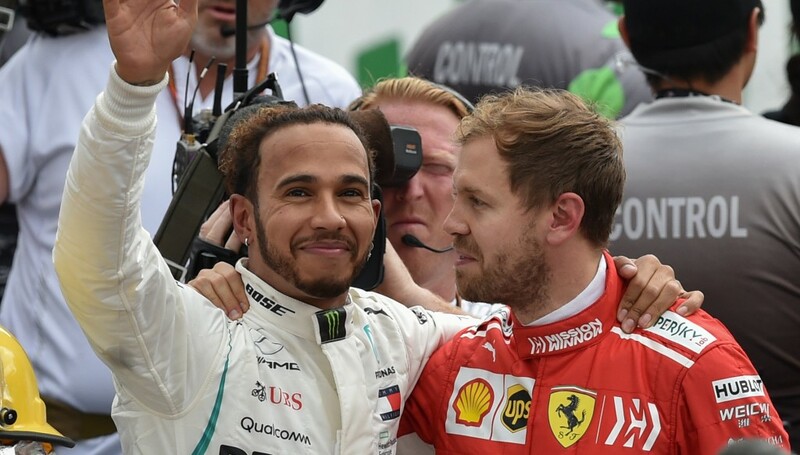 “This is the greatest moment of my life,” said Hamilton of his second world title, but for several others there were goodbyes to be said and new dawns – or false dawns – for some. So badly did it go at McLaren that Abu Dhabi this year will see the great Spanish driver’s final appearance in F1… at least for now.